We get a lot of questions about the following: 1943 wheat penny, 1943 steel penny, 1943 silver penny, 1943 Lincoln penny, 1943 copper penny, and 1943 penny value. 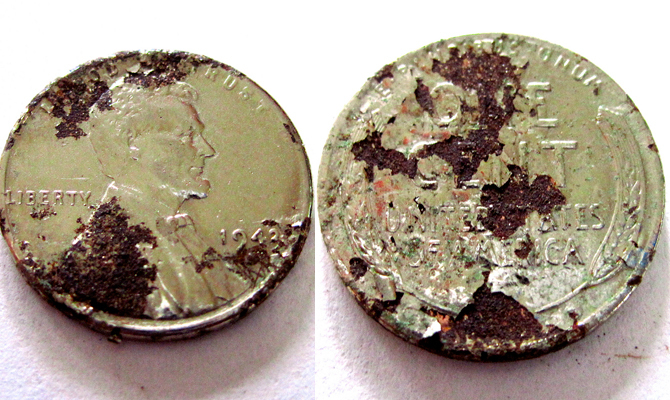 Geesh… I guess you all have a bunch of 1943 pennies in your possession! I did a little research. What follows are a number of rare pennies you should hold onto if you ever come across them in loose change or coin collections. Here’s how to tell if a penny is made of copper or zinc. #2 – Check the coin price guide.